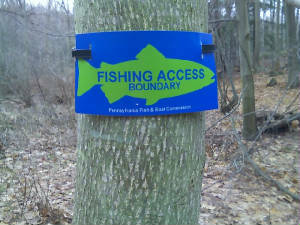 PA Steelhead Association - Is Range bailing out of one of the most productive shale plays in America? Range Resources is selling the 52,000-acres it owns in the Barnett Shale natural gas play in Texas for a cool $900 million. According to one industry analyst, Range intends to plow the proceeds of that sale into developing its Marcellus shale holdings in Pennsylvania. And production is not the only thing that is cheap. Transportation of gas to market is the largest component of a gas driller’s cost. Pennsylvania’s Marcellus gas lies in the middle of the strongest natural gas market in the world – the Eastern United States. So, transportation costs in Pennsylvania are also cheap. According to this analyst, Range will spend over a billion dollars this year developing its Marcellus production capacity. Despite giving up its Texas holdings, Range expects production to grow 10 percent this year, and 25 to 30 percent next year. It also expects that costs will remain low this year and next year, meaning “solid” (an industry term for huge) profit margins will continue. “Range offers shareholders a future full of cheap production growth. The company is going to generate significant cash flow, which is great news for shareholders,” wrote the analyst. But it gets even better for Range. According to another report, Range has the potential for a “triple play” - to produce natural gas and natural gas liquids not only from the Marcellus Shale but also from the Upper Devonian Shale above the Marcellus and the Utica Shale below the Marcellus. But none of this is great news for ordinary Pennsylvanians facing drastic reductions in government services, for communities in the Marcellus region that are struggling to deal with the impacts of gas development, or for Pennsylvania’s environment. Because Range, like all the other gas drillers in Pennsylvania’s Marcellus development boom - who have similarly cheap production - pays no drilling tax.